Technology is constantly affecting us, whether consciously or unconsciously, in a countless number of ways. Author and speaker Shel Israel joins the podcast to talk about the impact of technology on the future of the world, communication, and business models. Shel’s latest book, Lethal Generosity, borrows its name from the concept that when a company is incredibly generous to their customers, competitors’ efforts to hijack the customer are preempted. Customers have more power than ever. 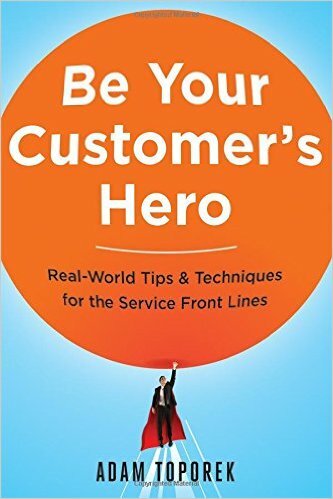 Technology has put customers “in their rightful place at the heart of an organization, rather than on the outside”, and has created, as Shel puts it, a “superstorm of change”. Social media has empowered consumers to demand the experiences they desire. What does this mean for the future—of companies, communication, and the world? The future belongs to millennials, says Shel, and it is in their hands to make reparations and "fix the world." They are the first generation of ‘digital natives’ coming of age to a planet that has a lot of problems, and the technology at their fingertips will be the tool they use to network and solve problems. This limitless power of connectivity and communication offers millennials seemingly infinite resources for collaboration. Shel introduces the topic of Keiretsu, a Japanese practice of forming and sharing networks and resources to gather power and problem-solve. Many companies around the world are now building keiretsus, and these teams are going on to shift the traditional business model to a newer, more sustainable format. This phenomenon is evident in cause-marketing efforts from brands like TOMs, Warby Parker, and more. Typically these companies operate on a buy-one, give-one strategy; each time a customer purchases a pair of TOMs shoes, a similar pair is given to a child in need. By building a culture of sustainability and generosity around a cause, the brand and the culture become synonymous, and the customer becomes an active participant in the organization's higher mission. Want to hear more about the impact of technology on the future of company culture? Tune in! Shel Israel is a best-selling author concerned with technology and the impact it has on business and life. He has been a keynote speaker “on all continents not covered by ice” and a contributor to Forbes, Fast Company, Business Weekly, and Business Insider. He began his extensive career as a newspaper reporter, then moved on to become a PR executive in Silicon Valley; he rounded out his career by working as a publicist. He currently writes and speaks full time. He brings his cross-disciplinary viewpoint to the podcast today to discuss the future of company identity and branding.